Clearwater girl that I am, I am very excited about Iron Girl Clearwater. I’ve run this event several years now, both the half marathon and the 5k. I love that it’s so close to home for me and easy to get to race morning. This year I am running the 5k. 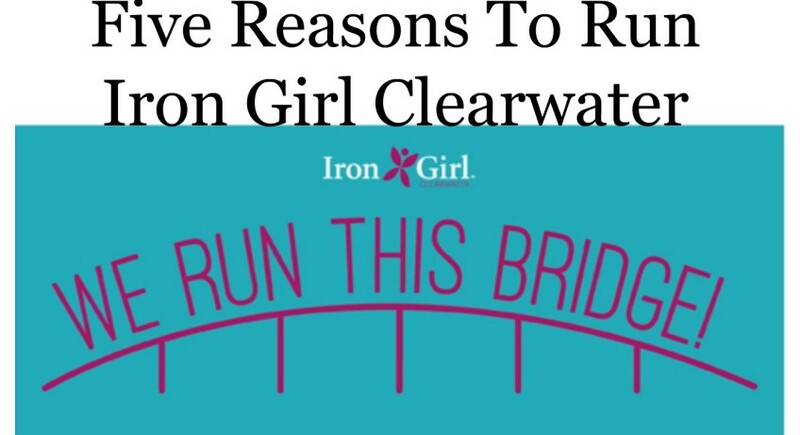 Just for fun, I have 5 reasons you should run Iron Girl Clearwater! The View…. If you love running by the water, the view is gorgeous. You can see Sand Key and Belleair in the distance. The water is pretty. 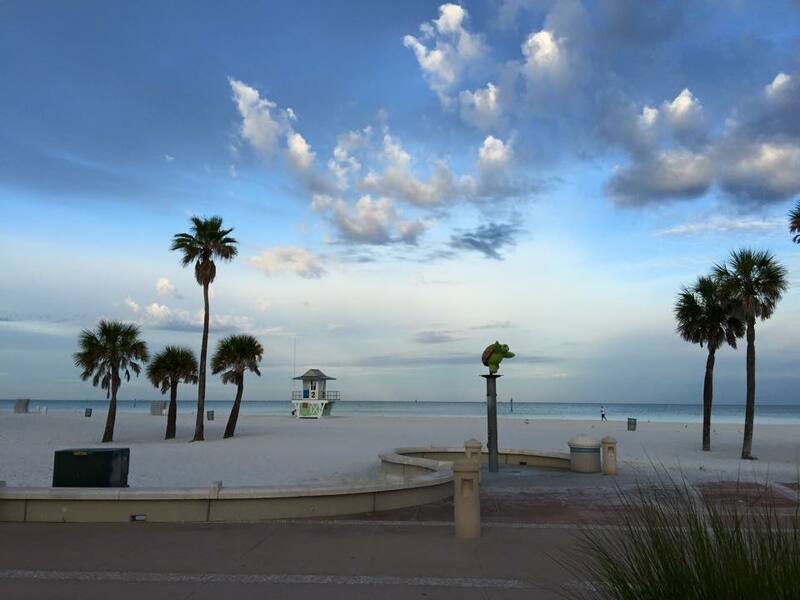 And when the sun comes up over downtown Clearwater, it is just beautiful. 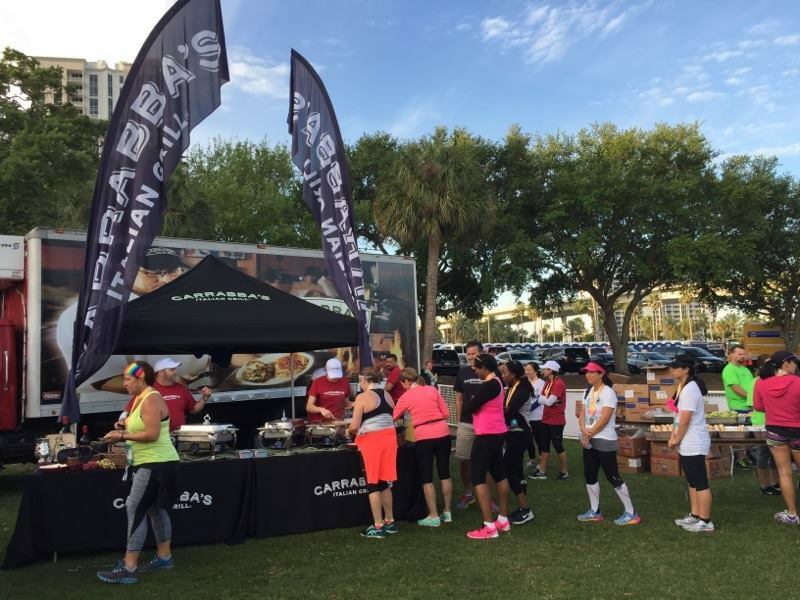 The Course… Starting at Coachman Park, you run the library, City Hall, and the courthouse and then you approach the bridge. 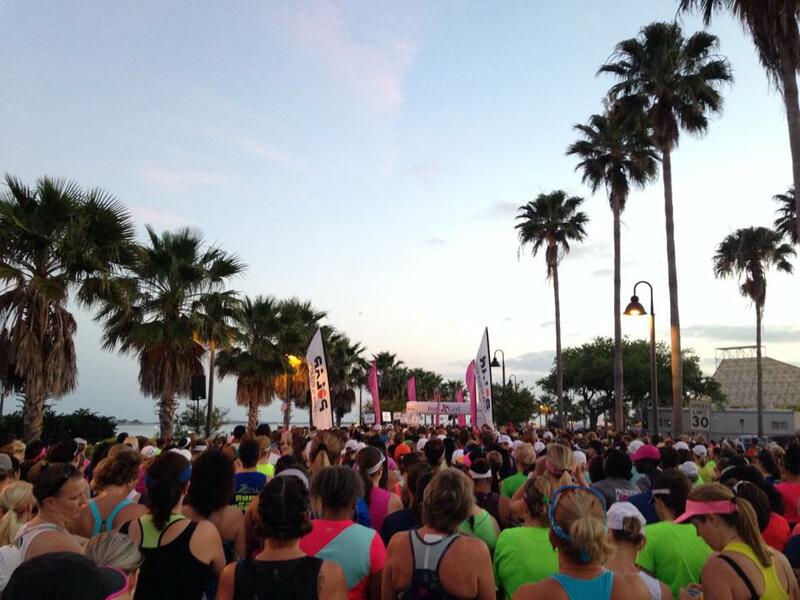 If you run the 5k, you run about half of the causeway before you turn around and head back. 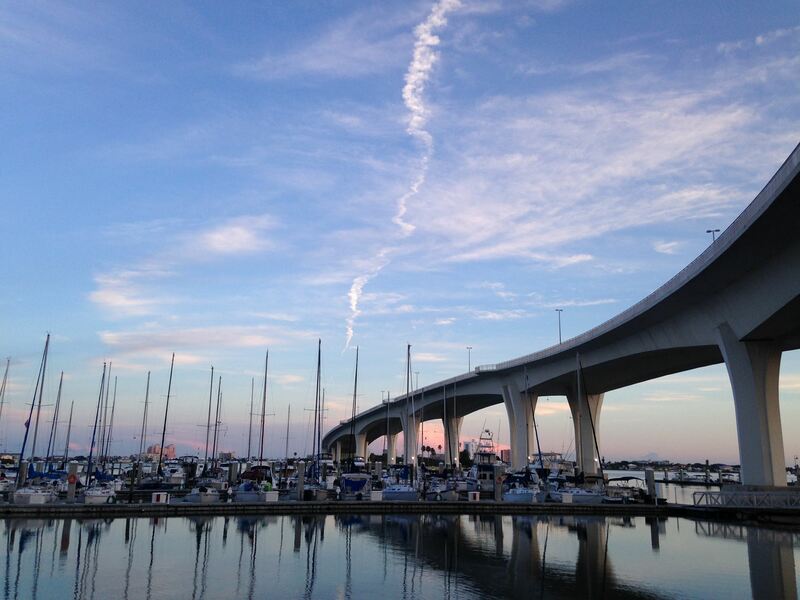 If you run the half marathon, you will also get to run the Sand Key Bridge. The bridges are my favorite part! 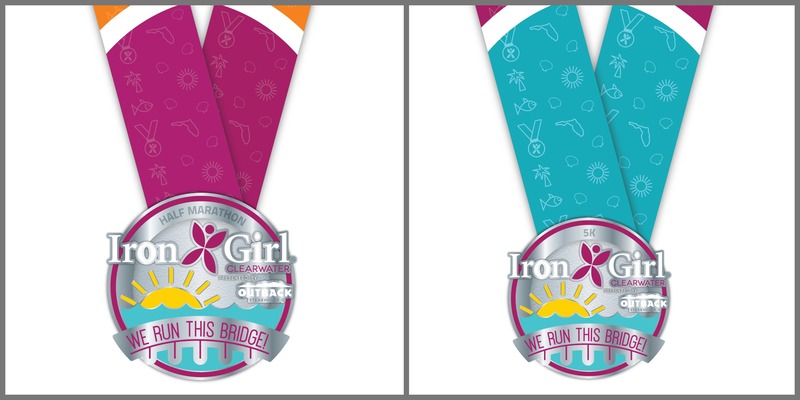 The Medals… Iron Girl does a great job with the medals and I love that the last few years it has had the bridge on it. The bridges are part of the challenge and it’s nice to have that on the medal as a reminder than you tackled them like a beast! The Expo… Saturday and Sunday morning, you can visit the Expo for your packet and to check out all the vendors an fun products. From clothing to jewelry, fitness gear, and more, it’s always fun to walk around. And after the race! They have some pretty amazing food. The Girl Power… I love events that empower women and this one is top of the list. Iron Girl “aspires to bring women of all ages together as a community by offering a supportive, energetic and empowering environment for females pursuing a healthy and active lifestyle.” Need I say more? I am all about this! 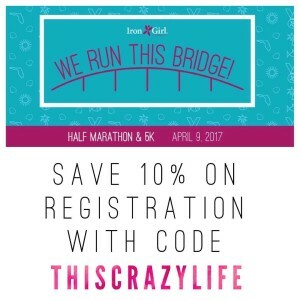 Register for Iron Girl Clearwater today and save 10% with my discount code THISCRAZYLIFE. If you register by March 8, you will receive a personalized bib! Are you running Iron Girl Clearwater? Let me know! I wish I could run this one with you. You’ve got a date for next year!